Could An Ingredient In Spicy Foods Make Your Beer Belly Disappear? There's evidence that adding more spiciness in your diet can help curb your appetite. Researchers at Brigham and Women's Hospital in Boston are taking that idea to a whole different level—one that requires anesthesia. 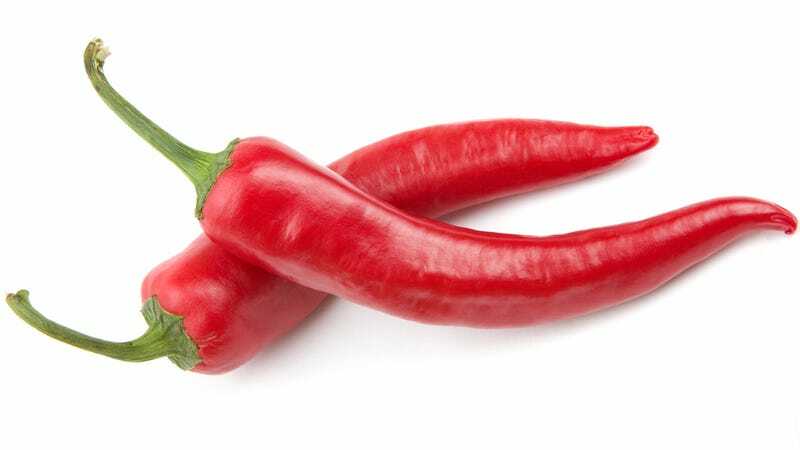 They've found that surgically manipulating the vagus nerve by applying capsaicin, the active component inside a chili pepper responsible for its burning sensation, can help with weight loss. The vagus nerve is the part of the brain that sends messages back and forth from the stomach to the noggin. The procedure being tested is called vagal de-afferentation. It uses capaicin to deteriorate specific parts the nerve, so the brain can give the gut info, but the tummy can't send data back. This surgery has resulted in the reduction of visceral fat, or the beer belly, in layman's terms. While a complete removal of the vagus (a vagotomy) causes more dramatic weight loss, decaying the nerve has fewer side-effects. Both procedures reduce the risk of obesity-related ailments like diabetes. That said, researchers say there's more work to be done before these procedures are ready to be used on humans.